Shellshock is a serious vulnerability. Bash, arguably the most widely distributed shell on Linux systems, fails to correctly parse environment variables with function declarations. Why the fuss over environment variables? Because these variables are often set by programs that handle network data. Examples include dhcpcd which, through this vulnerability, more or less gives you a remote shell through DHCP option 114 (and potentially others) and Apache using mod_cgi or mod_cgid when CGI scripts are either written in Bash, or otherwise spawn subshells with exported data acquired from untrusted sources -- to name a few. To define the bash function, the rest of the string is passed to the parse_and_execute() function. The problem here is the rest of the string is assumed to hold only a function definition, and is passed without sanitation to parse_and_execute(). execute_command () returns. This frees STRING. However, parse_and_execute() does not stop processing when it reaches the end of the function definition. Bash ends up executing all the commands in the string, even after the function definition. In essence, if an attacker can control an environment variable in a program that will spawn a shell with an environment containing that variable, command injection is possible. Since the original discovery of the vulnerability (CVE-2014-6271), the first fix has been found to be incomplete (CVE-2014-7169). Detection for the vulnerability condition (including CVE-2014-6271 & CVE-2014-7169) can be found in SIDs 31975-31978 & SID 31985. We have observed attacks attempting to load ELF binaries onto possibly vulnerable targets via wget. ClamAV offers protection from this threat under the name "Linux.Flooder.Agent". We'll be writing more on this subject early next week as we collect more information about the attacks we are seeing in the wild. Vulnerabilities that permit remote network attacks against ubiquitous software components are the nightmares of security professionals. On 24 September the presence of a new vulnerability, CVE-2014-6271 in Bash shell allowing remote code execution was disclosed. This is my first post on the VRT blog and I would like to introduce myself. I am Mariano Graziano, an Italian third-year Ph.D. student at the Software and Systems Security Group at Institut Eurecom in Sophia-Antipolis (France) under the supervision of professor Davide Balzarotti. My research interests are memory forensics and automated malware analysis and currently I am an intern at Cisco in the Talos Security Intelligence and Research Group under the guidance of Alain Zidouemba for the next three months. This post is not about my current project at Cisco but is about my DEF CON talk. At DEF CON 22 last month, I presented with my former colleague Luca Bruno an offensive research about Looking Glass software security. At the time we contacted all the Autonomous Systems (ASes) involved, as well as all the maintainers of the affected open-source Looking Glass software, but unfortunately, responsible disclosure is not the panacea and as result either some issues have not been addressed by the software maintainers or the AS local sysadmins did not update their Looking Glass instances. In this post I give a brief overview about the research, then I introduce the vulnerabilities and web misconfigurations we uncovered, and finally I show how the Talos Security Intelligence and Research Group covered all the CVEs with Snort rules, so that users can protect their backbone infrastructure. Let's start by defining what a looking-glass is. A looking-glass is a web-application that provides a restricted set of operations on AS routers and is commonly written in Perl or PHP. This web application is directly connected to the routers (via telnet or SSH), the commands go from the web form to the router console and the answer is printed back. The attack vector is obviously from the web, in this threat model we have two kind of problems: web misconfigurations and common web vulnerabilities in the web interface. Web misconfigurations might lead an attacker to the backbone router credentials with a simple Google Dork while a severe vulnerability might lead to a command injection from the web form to the router console. During our research we have found both issues and six CVE numbers have been assigned by the MITRE affecting 45 ASes all over the world. For a detailed analysis please have a look at either the WOOT 2014 paper or our DEF CON 22 slides. Talos wrote six Snort rules to address all the above issues. The rules for the web misconfigurations prevent the attacker to retrieve the configuration file or list the configuration directories (have a look at sid:31709, sid:31708 and sid:31727 for all the details). The memory corruption bug referenced by CVE-2014-3931 should be avoided by sid:31767, only the default ICMP Echo Reply payloads are allowed. The web vulnerabilities are addressed by sid:31741 and sid:31766, these rules provide the missing input sanitization and should avoid basic exploitation attempts. We recommend that all Snort users running the affected Looking Glass software deploy the mentioned rules. This month’s Microsoft Update Tuesday is pretty light save for the Internet Explorer bulletin. While there’s only a total of 4 bulletins, they cover a total of 42 CVEs. The IE bulletin, as is usual, has the most updates for bugs and is rated critical. It covers a total of 37 CVEs. The other three bulletins are rated as important and provide updates for the remaining five vulnerabilities. MS14-052 is the IE bulletin and is rated critical. It covers a total of 37 CVEs. Of these 37 CVEs, 36 are remote code execution vulnerabilities, the other one is an information disclosure vulnerability (CVE-2013-7331). This last vulnerability is publicly known and under active exploitation. This vulnerability allows attackers to use Microsoft’s XMLDOM ActiveX object to gain information on local drive and network settings. The attack can be used to detect if files or folders are present on the machine due to different error messages being returned depending on if the files or folder exist or not. An attacker can similarly figure out internal IP addresses using this vulnerability. The remaining 36 vulnerabilities are mostly the result of use-after-free vulnerabilities. 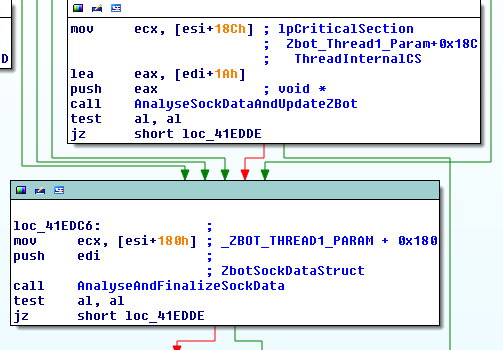 Bulletin MS14-053 deals with a single CVE (CVE-2014-4072) in .NET. The vulnerability results in a Denial of Service. This is due to a hash collision that can be exploited by an attacker, which will result in resource exhaustion. CVE-2014-4074 is fixed by bulletin MS14-054, it deals with a vulnerability in the Windows Task Scheduler that could allow a logged on user to schedule a task that would run code at the system level. The final bulletin is MS14-055 and fixes three vulnerabilities in Lync. Two of the vulnerabilities, CVE-2014-4068 and CVE-2014-4071, could result in Denial of Services. An attacker could create a legitimate meeting and then modify the SIP information, which would result in a DoS on the Lync server. The third vulnerability that is covered by this bulletin is CVE-2014-4070 and can result in information disclosure due to a Cross Site Scripting (XSS) vulnerability on the server. This post was authored by Shaun Hurley, David McDaniel and Armin Pelkmann. Malware was discovered by Richard Harman. Have you visited amazon.com, ads.yahoo.com, www.winrar.com, youtube.com, or any of the 74 domains listed below lately? If the answer is yes, then you may have been a victim to the "Kyle and Stan" Malvertising Network that distributes sophisticated, mutating malware for Windows and even Macs. Malvertising is a short form for "malicious advertising." The idea is very simple: use online advertising to spread malware.